Since the first egg hit the grill in 1996, the Galaxie Diner has been serving up delicious meals at fair prices. 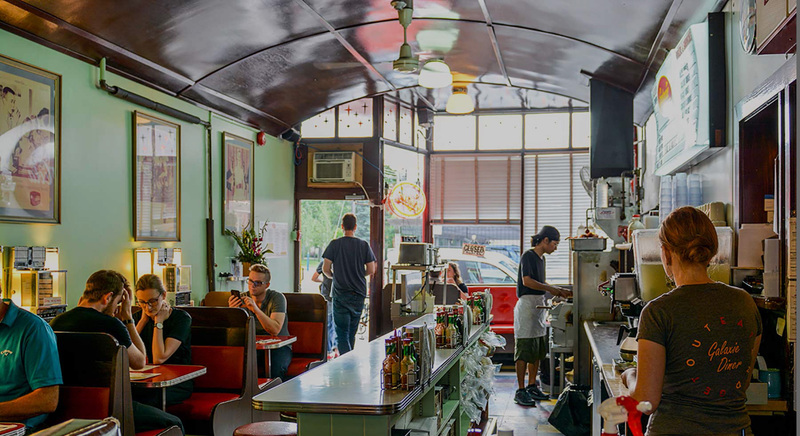 A breakfast joint and local gathering place, the Diner recalls the classic diners of the 1940’s, with cooks grilling and plating in an open kitchen, while patrons enjoy vintage booths and bar stools. When it’s busy, which is most of the time, a line extends out the front door. We specialize in feeding friends, families, and even hangovers!